It’s a question fundamental to democracy in Michigan: How open and accountable is our state government? On a variety of fronts, the answers are troubling. Michigan ranked dead last among the states in 2015 in a ranking by the Center for Public Integrity of government accountability and transparency. Its overall grade: F. That has a lot to do with a campaign disclosure system that allows “dark” – or undisclosed – funds to seep into half or more of all campaign spending. According to the Michigan Campaign Finance Network, half of the $3.4 million spent on 2016 Michigan Supreme Court races came from sources that were not disclosed in campaign finance reports. In 2014, 45 percent of $10.4 million spent on Supreme Court races came from undisclosed sources. The “F” grade also stems from legal walls that continue to shield communications of the governor and legislators. As the Flint water crisis unfolded in 2014 and 2015, there was growing pressure to extend the state’s Freedom of Information Act to the executive office and state legislators. With more than a dozen current or former city and state officials facing charges tied to the poisoning of that city’s water, critics demanded the right to know what the governor knew and when. Michigan is one of two states with those FOIA exemptions. The state House in 2016 approved a package of bills to end them. The package did not pass in the state Senate. Michigan lawmakers earn a base salary of $71,685. But they are free to earn money outside that – with no requirement they report any of that income. It is one of three states that doesn’t require lawmakers to disclose their financial dealings. Bills to require them to do so also have stalled. A Second Look at Term Limits? In 1992, voters approved a constitutional amendment setting term limits for legislators and the governor. It limits lawmakers to a combined 14 years in both chambers and makes Michigan one of six states with a lifetime ban on additional service. The idea was to provide be a sensible check on corrupt politicians wielding undue power and influence for decades. Over time, however, critics say that it has spawned a revolving door of inexperienced legislators unable to deal with complex policy issues and enhanced the power of entrenched lobbyists. A 2017 book, “Implementing Term Limits” by two Wayne State University professors found term limits failed to deliver many of the “good government” results its advocates promised. Is a Part-Time Legislature the Answer? With Michigan’s legislators racking up fourth-highest annual pay in the nation – and many state problems left unsolved - they are an easy target for critics bent on changing the system. 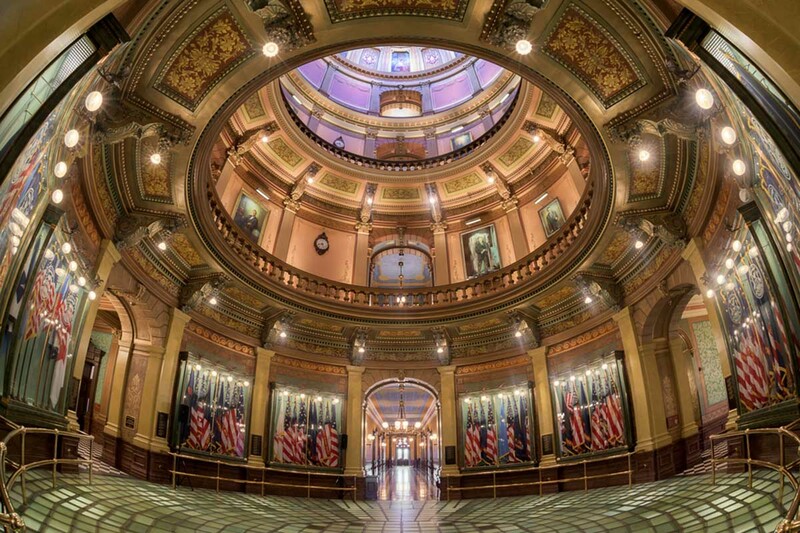 Michigan is one of 10 states with some type of full-time legislature. Reformers to continue press a proposal to amend the state constitution to create a part-time legislature limited to a single consecutive 90-day session. The salaries of legislators would roughly be cut in half. Advocates say it would save millions of dollars and open up legislative offices to citizens from all walks of life. Critics say it would limit contact between legislators and constituents and cede more power to the governor. They argue it also would discourage potential candidates who are unable to take extended leaves from work for a 90-day session. They also point out that legislative pay amounts to about $11 million – a tiny sliver of the state’s total $48 billion budget. The new governor and legislature elected in November 2018 will face strong headwinds of public doubt and dissatisfaction. “Fractured Trust,” a 2017 Center for Michigan report based on polls and community meetings with 5,000 diverse statewide residents, found low public trust in the state’s ability to deliver good government. The report found widespread public support for reform of the state emergency manager law governing state oversight of financially troubled local communities. The report also found very low public trust in the transparency of Michigan’s campaign finance system. As of early 2018, state leaders had not acted on those concerns.